When a fire starts, there’s no time to save everything in your home. The main priority should always be getting people out as quickly as possible and staying out. Let first responders know about any people or pets who might still be inside as soon as they arrive. It’s a good idea to have a fire safety plan for your family, so everyone knows exactly what to do in case the worst happens. With a little advance planning, some valuable items can be saved on the way out the door in case of a fire. When you create a fire evacuation plan for your family, choose one person to retrieve the items from the designated place. Never ask a child to be the one in charge; the main priority for children should always be to get themselves out of the building as quickly as possible. Collect valuable items in advance and store them in a bag or binder so they’re all together. Keep them near the main door out of the home so they can be grabbed quickly and easily. When a building is on fire, there’s no time to run through it retrieving items. Practice getting to these items to ensure that you can access them fast when seconds count. You don’t want to store them in a drawer that gets stuck easily. Practice fire safety drills regularly, at least a few times a year, to make sure everyone knows exactly what to do. Have at least one in the middle of the night so you can see how quickly they get up and moving. You may learn that a teenager sleeps so soundly, he can’t hear the fire alarm because it’s too far away from his bedroom. In this case, install an additional smoke detector right outside the bedroom door. It’s important to remember that you may not be able to reach the main exit in case of a fire and these items may be in danger. Never run through a burning building to try to reach them; it won’t be worth putting anyone’s life in danger. Consider storing them in a home fire safe, which is capable of withstanding extreme temperatures. They have different fire ratings, so choose the one that suits your situation best. Back up family photos to the cloud; many websites such as Dropbox or Google offer free storage and personal clouds are available that let you store your photos and documents securely. Scan documents and old photos onto a flash drive and keep it in the fire safe. Always remember that with the exceptions of photos and heirlooms, all of the above items can be replaced, although it will take a little time and effort. A car title, or even the most adorable photo isn’t worth a person’s life. 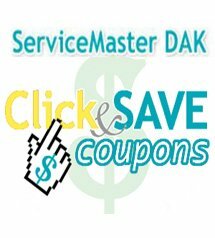 When the unthinkable happens to a home or business in the North Shore and Northwest Chicagoland, IL suburbs, there’s only one place to call for top quality fire damage restoration – ServiceMaster DAK. Our highly skilled technicians are on call 24 hours a day, 7 days a week to respond to fire emergencies of all sizes. We know that damage continues to occur even after the flames are extinguished, due to corrosive elements like soot, smoke, and firefighting chemicals. Unless items are restored and repaired quickly, the damage will be permanent. We use state of the art cleaning products and equipment to clean and restore items, even ones that look hopeless. 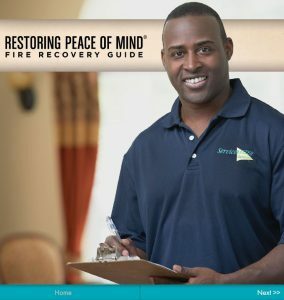 Fire damage restoration costs vary, depending on the extent of the damage. Watch the video for more information.